We are celebrating yet another success! BibeCoffee, an Athens based startup that was supported by Venture Garden, raised €400.000 last week from Uni.Fund. Co-founders Panagiotis Vrettos and Vasilis Apostolopoulos offer an IoT real-time monitoring solution for every professional coffee machine that ensures zero Revenue Loss, streamlines activities guarantying Brand Image. The team joined Venture Garden at Alba Graduate Business School for the 4th Round in 2015 and since then has been working hard to develop their product. “Venture Garden gave us the opportunity to develop our plan, scheduling, and the knowledge to develop our Business Model Canvas and Business Plan. We also received mentoring for our first entrepreneurial steps. Based on this we started developing our product that uses IoT technology to monitor professional coffee machines of any type and make. Users have access to their entire coffee machines “fleet” through the Bibe App. 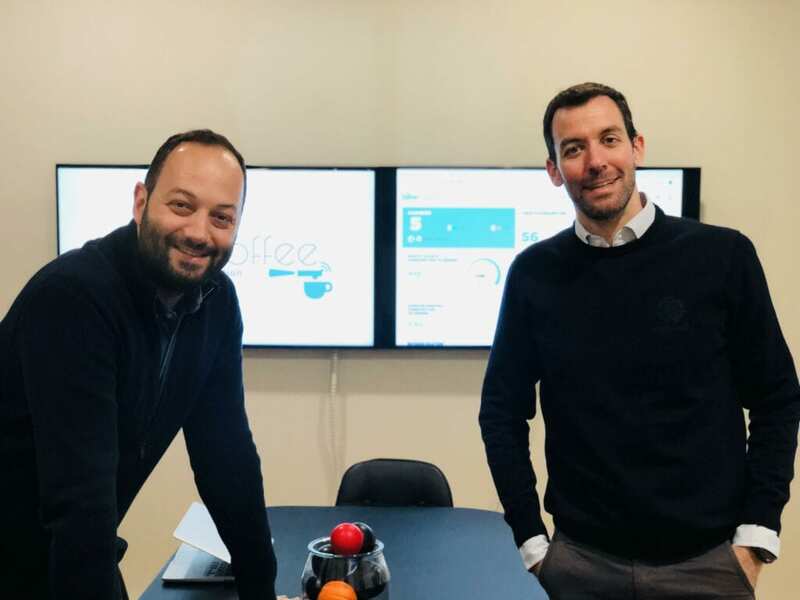 The BibeCoffee Intelligent Platform allows coffee suppliers to develop advanced sales and marketing strategies to be competitive throughout the market helping them to act instantly even at each point of sale.” commented Panagiotis Vrettos and Vasilis Apostolopoulos. Applications for the next VentureGarden round at Athens will be open until April 15th 2019. Click here. THI has invested $800,000 in Venture Garden split over a period of 5 years, carried out by Alba Graduate Business School in Athens, making it one of the country’s premier entrepreneurial educational programs helping hundreds of people to kick off their businesses.